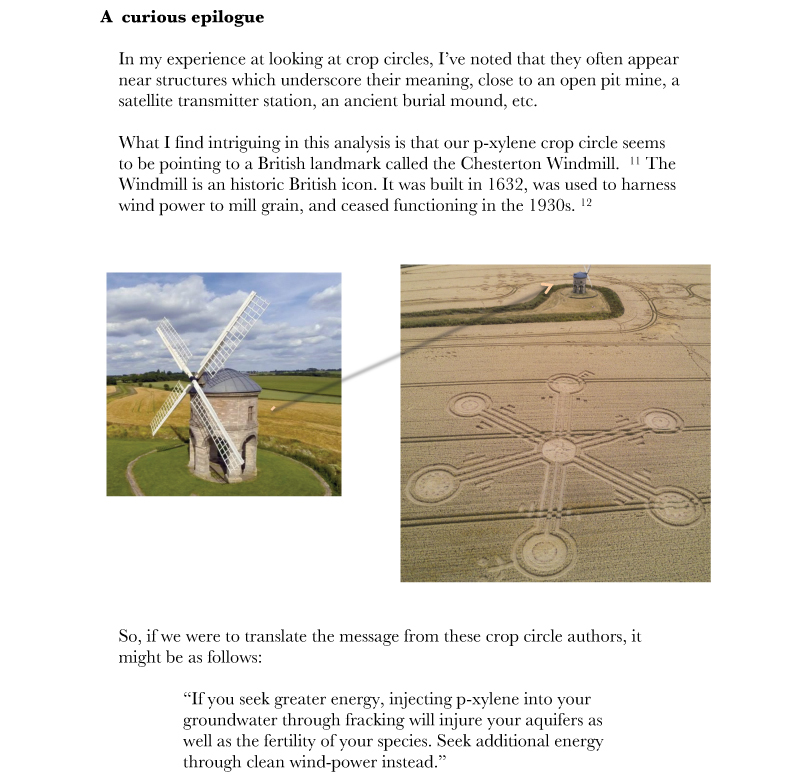 The author is a friend with whom I had set up a small project to make “crop-circle magnetic motors” back in February. 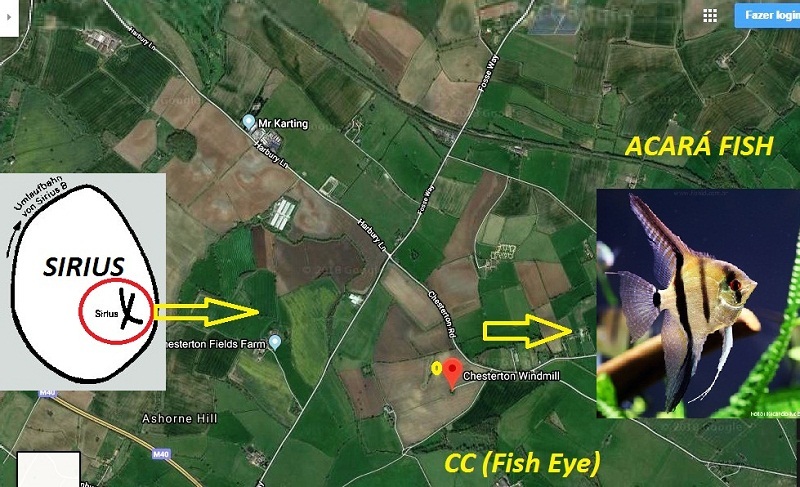 This “rotor” was based generally on two crop pictures which had appeared near Avebury on September 1, 1999, or near Milk Hill in May of 1999. 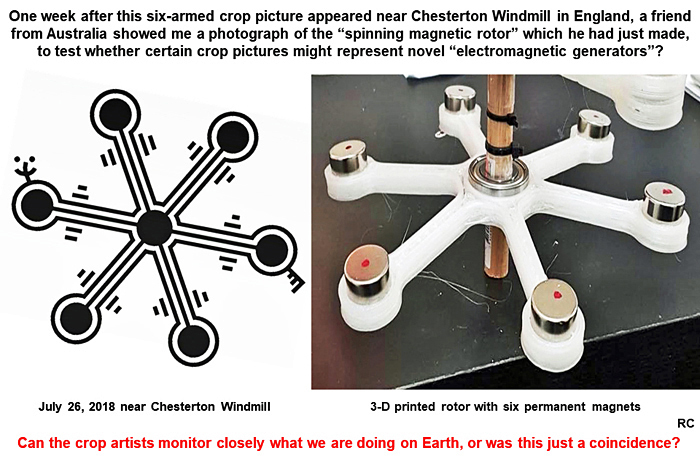 My friend photographed the newly-made magnetic rotor in his shop in Redfern, then went home and saw almost same thing, drawn in a field in southern England! The real rotor had only been made a few weeks before. Was this just a coincidence, or something more? 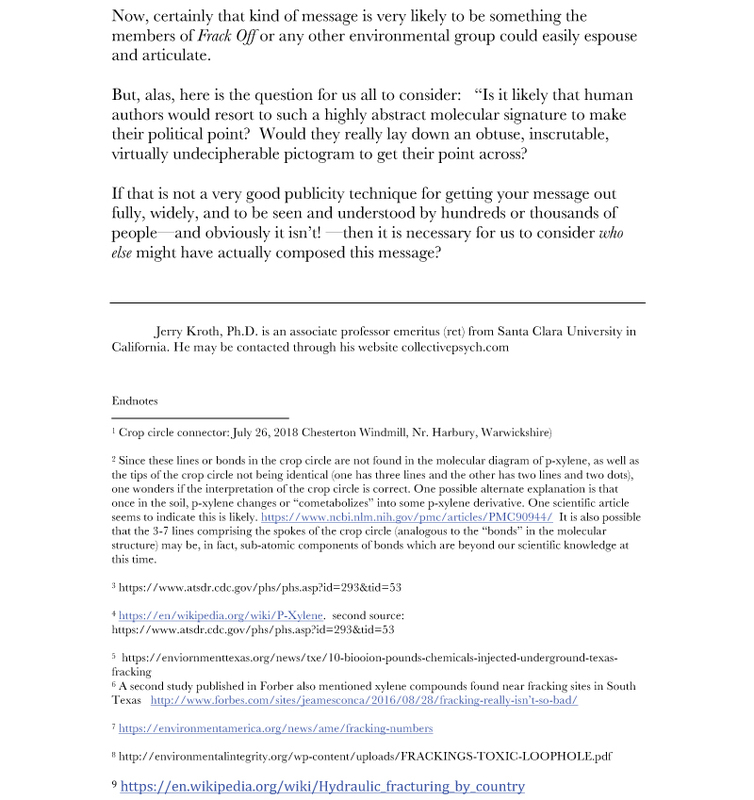 Can the crop artists monitor certain people and/or events closely on Earth, even if we cannot see them doing so? For months I have been posting about Sirians, and about these models of Pictograms, declaring that they are astronomical markers, highlighting the Sun-Sirius connection especially on the symbols of two and three dashes. I even identified the Sign of Sirius, with the letter Shin the Trident. And I guarantee that on July 26, Sirius would wave to the world, on the day of his heliacal rising, which is today. We see a six-ray star, and hexagonal models were abundant in the 2018 season. They mean Life, Life and consciousness coming from the Sun, Life and consciousness that comes from Sirius. The six axes have 11-11 style pictograms , and I speak in them all the time. 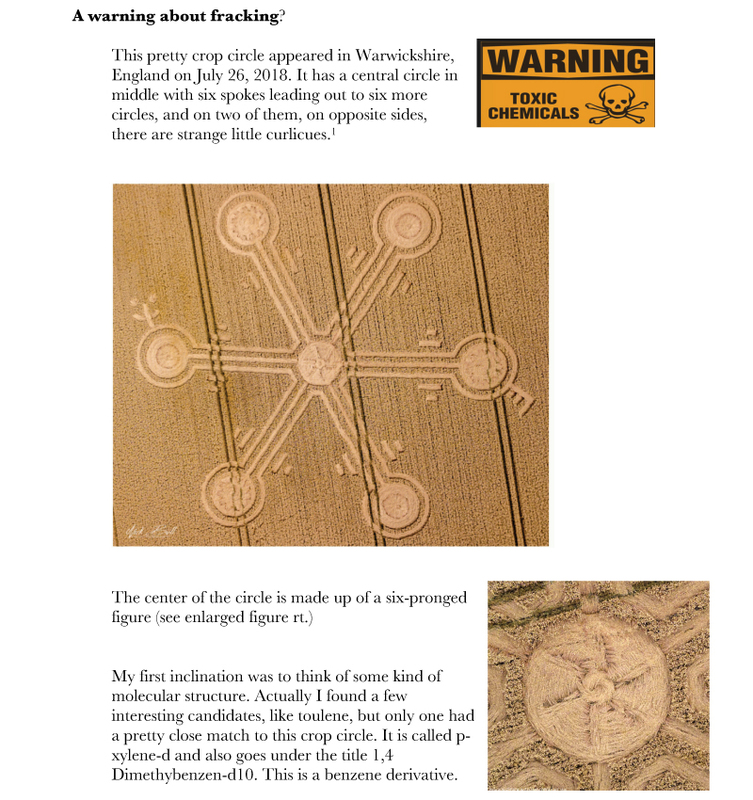 Sirians, they have been sending the pictograms and crop circles since 1990! We have two types of "stars" at the ends of the six bars. We have the Sun (single disc) and we have Sirius (a star with 11 rays, I think) adding up to 33! At the end of a shaft, a fork with three bars, and at the other end a trident. The Sirius three-star system is confirmed, even the Dogons of Africa! And in the centre, a vortex 6: Vortex, portal, Stargate, I also mentioned that. Vortex between Sun and Sirius. The connection is real between us and the Sirians. Many of the ships that appear in the Sun can and should be from Sirians coming from the Sirius 3 System! 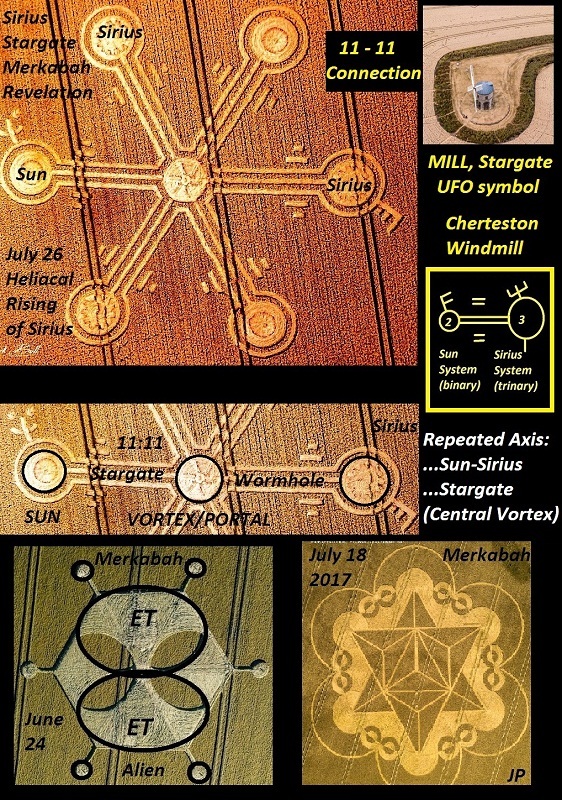 The crop circle faces a Windmill, which represents the UFOs travelling in the Sun-Sirius Stargates! 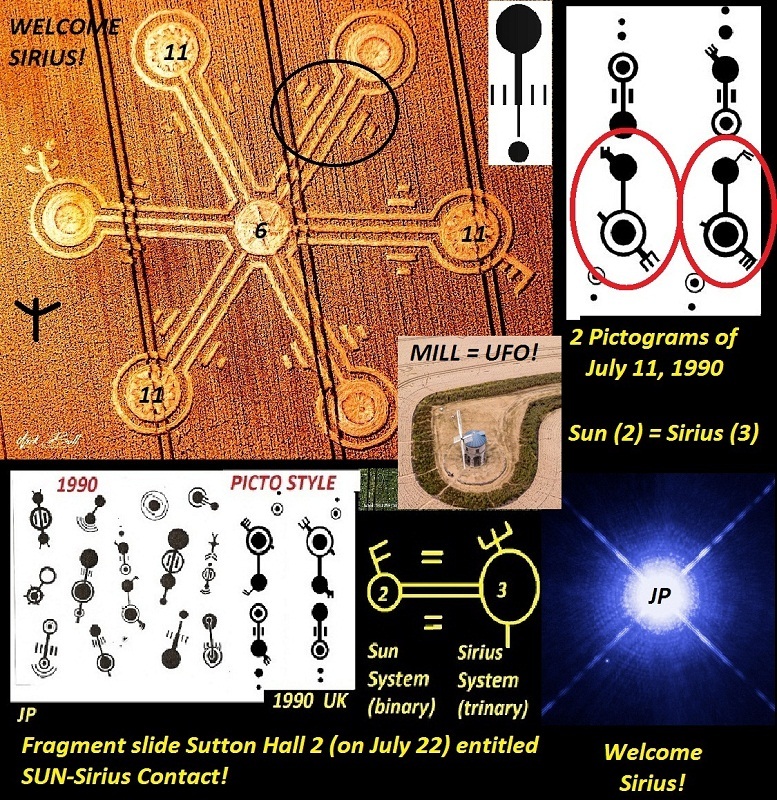 At the bottom of the Slide, I cut and pasted a fragment of the text I wrote on July 13 on the interpretation of Sutton Hall 2, and called it SUN-SIRIUS CONTACT. Everything was confirmed. This is a great day for me, a great day for the world. This is a great revelation. Welcome Sirius! The Stargate will open between the Sun and the Mother-Star of humanity! On the appointed day, July 26, announced several times as the Rise of Sirius, day of signs and messages to the World, the Star 6 points, called Macrocosmic Star (Life, Source of Life, Sun, Sirius) brings a code that already been broken. 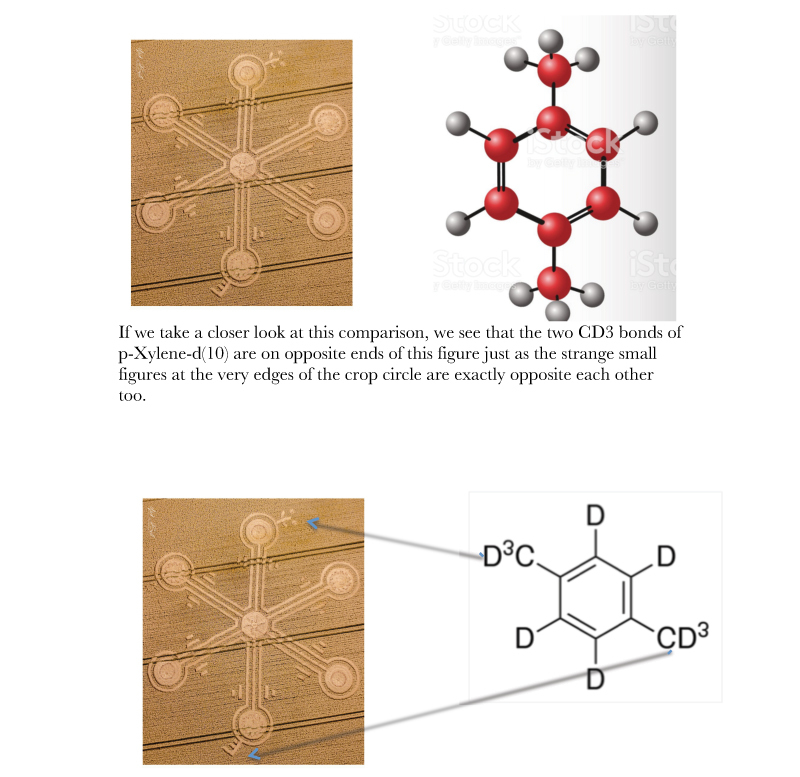 Since 1990, pictograms 11-11 and signatures of forks with 2 and 3 bars appear, and the standard had already been identified before and solved, which allowed the response and the contact of this crop circle. The axes have two different stars at the ends. One is the Sun, the other is Sirius. The trident appears, confirming that it is really Sirius, a three-star system, the source of all this communication. In the centre, a vortex 6, identifies the Portal that opens before the Stargates / Wormholes of communication between the two stars. Many of these UFOs that are seen in the Sun are of Sirian origin. Every day it gets more confirmed. Sirians are revealing themselves to the world. Since 1990, 28 years have passed and no one has realized this connection. Because they interpret the images separately, they form a harmonious whole. Even the field mill has a sense, the sense of the Ships travelling in these 11:11 Space-Time rupture Stargate. Many vortex and stargates models appeared this season in 2018, and a stylized Alien-Merkabah on June 24, 33 days before July 26. And it seems to me that the three suns each have 11 rays, which sum 33. 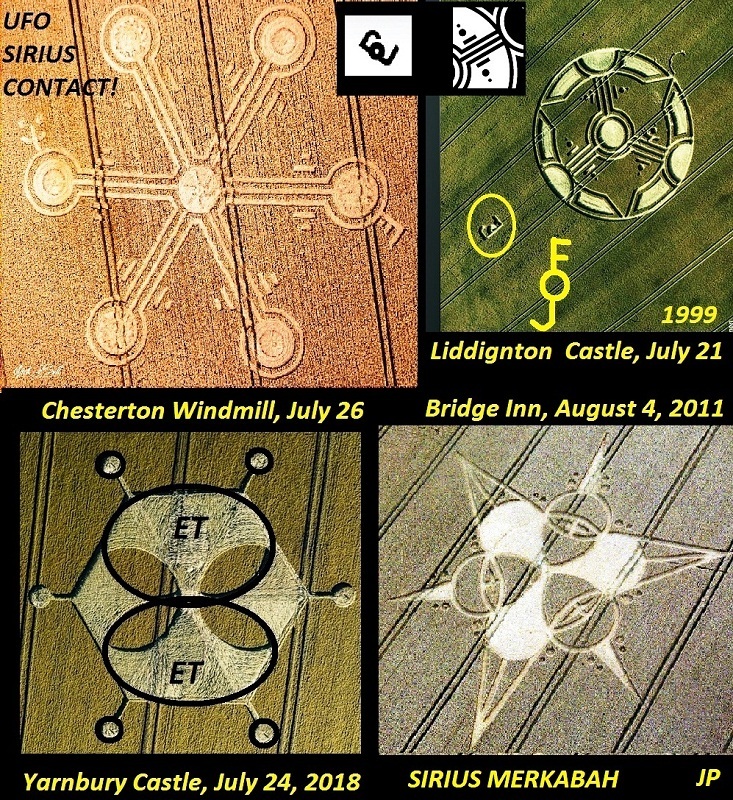 In 1999, July 21, 19 years ago (lunar metonic cycle), Liddington Castle and a model similar to the recent crop circle, Chesterton Windmill, with the same hexagonal structure, but three axes with the same type of pictogram 11-11 ( modified), illustrating the Sirius 3 system, which since 1990 has sent "astronomical markers" to the world, announcing the Sun-Sirius connection, energy connection and consciousness. There appeared the signature "FoJ" also modified, as that "folded". But it is she, surely. The Key that opens the sky (Sun) and the hook that fishes souls in the world (Sirius, the Star of Bethlehem). The hexagonal model is notable for representing all this information at the same time, that is, stargates, connections between systems, stars and worlds, Life and Flower of Life, and of course, the structural pattern of the well-known Merkabah, God's Car. It would not surprise me to know that most UFOs passing through the Sun are Ufos of Sirius and that such Cars are related to the Biblical Merkabah of Ezekiel and the other prophets and of the Son of Man Himself who will come upon his bright cloud, when the Doors of the Sun and the Occult Reality open themselves to mankind. There were lunar tetrads (or Blood Moons) in 1948 and 1967, when significant events for Israel took place. In our time, in the proximity of the prophecy of 70 years of Israel and the parable of Figueira (May 14, 2018), this will be the SIXTH MOON of Blood, because five previous ones happened: April 15, 2014, October 8, 2014, April 4, 2015, September 2015, January 31, 2018 and today, July 27 to 28, 2018. The seventh Blood Moon in progress will be in 2019, January 21. And soon after the Blood Moon comes a shower of stars (and we will actually have to follow the eclipse of the Moon the meteor rain of Delta Aquarids, and later the new green comet PanSTARRS C / 2017 S3, with perihelion predicted for 15 Many events performing together! 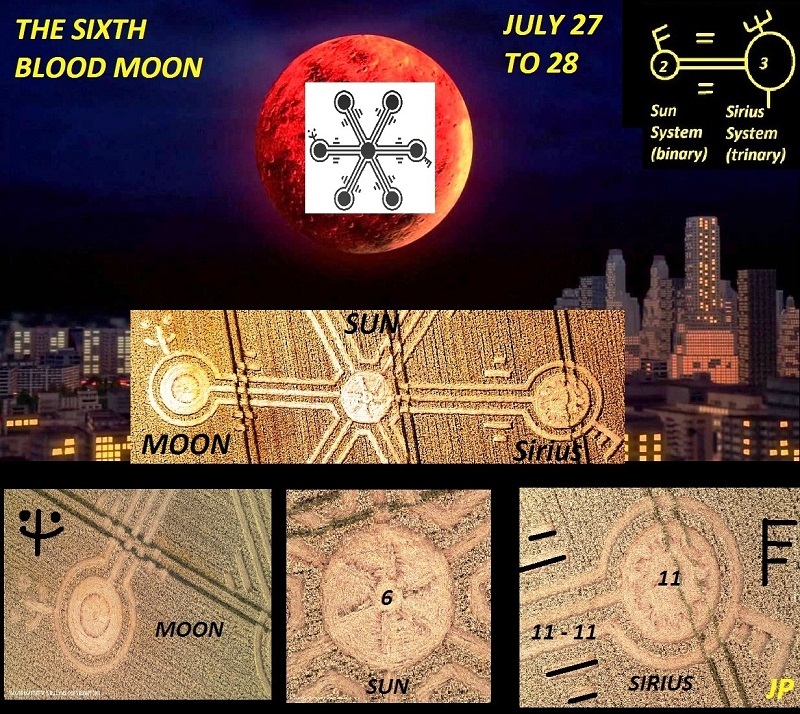 In addition to the Sun-Sirius connection, the Chesterton Windmill crop circle 11-11 series pictogram style of July 26 seems to show the lunar disk in the eclipse at one end of the axis, and at the center, the Sun (6), and at the other end, the 11-ray star, Sirius. The same patterns since 1990 are repeated, the theory of astronomical markers is confirmed. Alignments generate intense gravitational energies, changes, impacts, transformations on Earth can be triggered from this eclipse, both cosmological and prophetic. Something begins to "spin" like the Mill! Like UFOs! And many signs may appear in the sky and the Earth having this eclipse as the starting point. Therefore, eyes in the heavens and hearts attuned to the Light of Sirius! Because the source of energy will be yours. And of course, we will wait for new crop circles to continue with the responses to the recognized Contact. 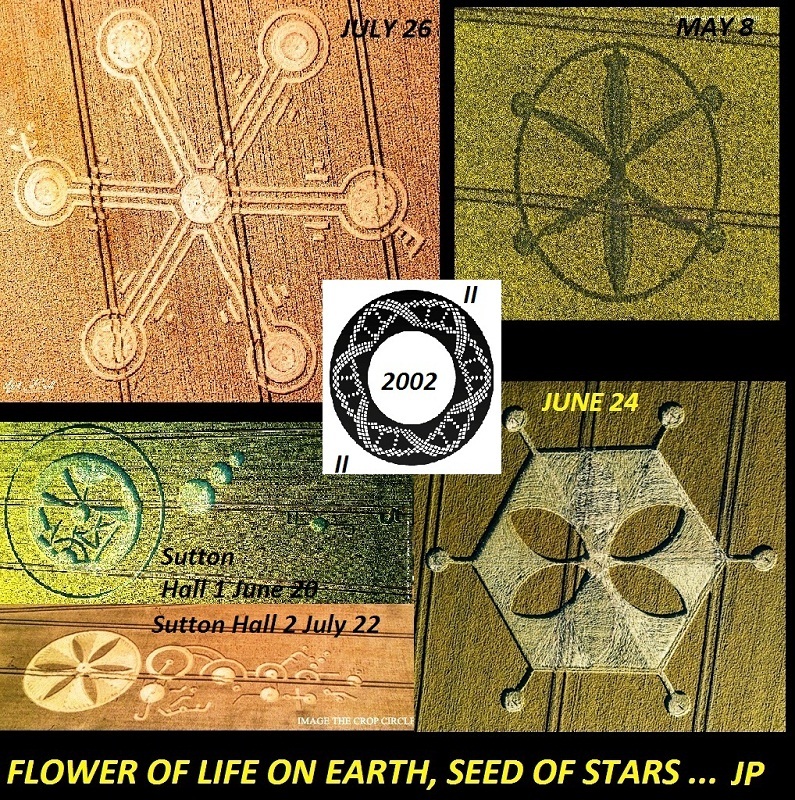 The predominant geometry in the crop circle 2018 season has been the Hexagonal, and most of them, indicating relationships with the Flower of Life, the energy of the Sun and the stars. These slide crop circles I was able to PREVIEW before they appeared. The first of the season, May 8, shows an insect whose inner body is that of a butterfly (without wings) coming out of larvae / cocoons. On May 6, 2 days before, I had a dream, many butterflies were born from their cocoons, and they had a human appearance. My oldest friends can confirm. This crop circle presented the recurrent 6/4 ratio (the 6 insect axes and the 4 outer circles). Chesterton Windmill's recent crop circle, also a 6-axis star in front of a 4-axis mill. Then, on June 24, a hexagon six orbits with four internal wings (again, 6/4, recurring pattern). And it shows Aliens disguised in it. 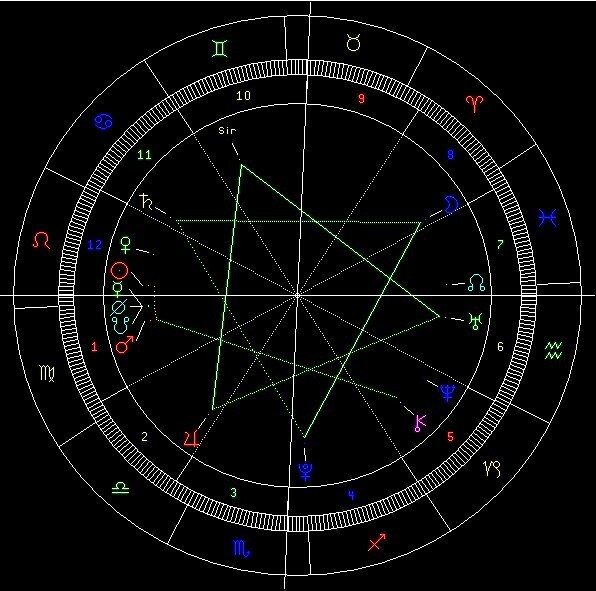 The 6/4 matrix appears in the Pyramid of Kefren and is related to the musical note Pure SOL, and with the vibrations and frequencies of the 6-pointed Star, secret frequency of the heart and living nuclei! Sutton Hall 1 shows a broken, irregular, asymmetrical geometric shape, and consists of death values. It even appeared on the day of the Moon in Capricorn united to Saturn in the sky, inside it we have 13 fragments, and the formation appeared near a local cemetery. And there seems to be an illustration of a dead man lying in that shape. The three circles, the signature FoJ, and the letter S, Sun, Sirius, our source of life and consciousness. And 22 days later, on 7/22/2018, a repeat of 22, Sutton Hall 2 shows Flower of Life in front of broken pictograms, including the broken FoJ signature, and as I said before, broken codes mean interpreted codes. What appeared as the image of death and destruction in Sutton Hall 1, returned as the image of Life, restored Flower of Life, because the codes were broken, dissolved. We know the source of our life. 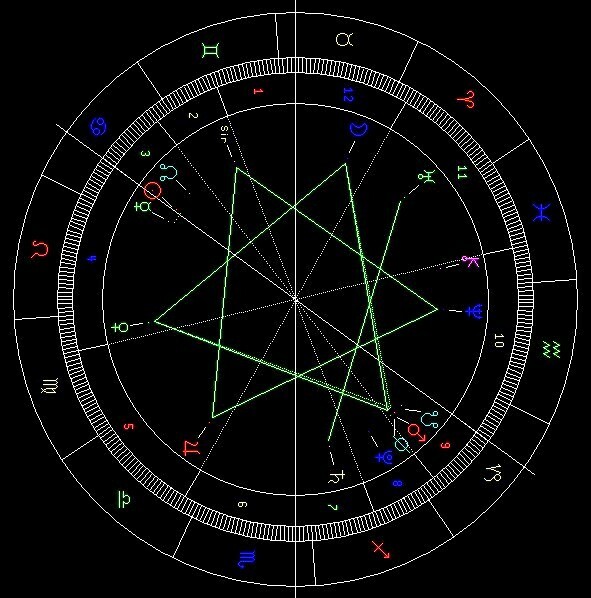 Finally, on Sirius Day, July 26, another hexagonal geometry showing 11-11 connections between two different star types. Vortex 6 in the center increases the direction of this image. The signs of Sirius, the pictograms and 11-11 are repeated. Patterns on patterns. Now, look at the 2002 crop circle DNA (centre). It was built into a Life Flower model 6, and instead of the four usual 4 connections within each propeller, we see only two, like two bars (II), and if we connect with the opposite propellers, we have the standard 11-11 , which biblical chapters mark with resurrection values. Because of all these solutions, the Aliens are responding. And they will continue to respond. This is a teamwork that we have done. Namely, The Flower of Life, like the Merkabah, are geometries derived from the METATRON CUBE, the Great Matrix of all the geometries of the Universe. For those who pay attention to details, and know how to do joint analysis, we have the Sirius X identified. First, the axes with 3 connected objects: the Sirius 3 System (according to the Dogons), the three stars A-B-C connected by gravitational axes. Second, the trident is also an X, equal to the X that the Dogons used to represent Sirius in their three-star system. And this X has two small circles together, to represent the two companions stars of Sirius A, the bright star, which are stars B and C, and the fork, at the other end, with three bars, saying the same thing. 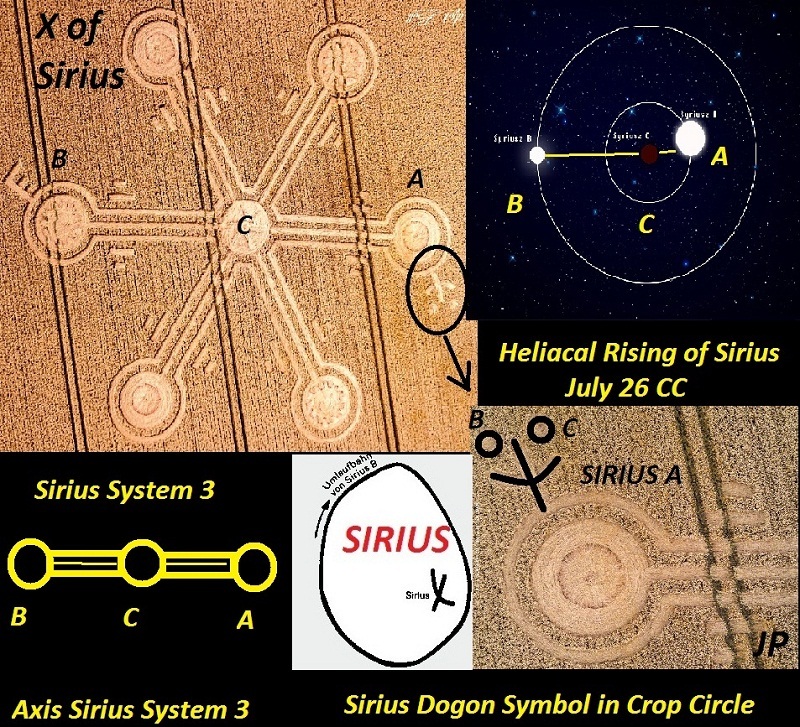 And third: the crop circle appeared on the announced day of Sirius' rising on the morning of July 26. There is no doubt about this solution, after all! Sirius is really responding to us! Deciphering crop circles is like solving a crime: only an eye that is attentive to detail and able to gather all the parts together, will be able to unravel the case. The photos show two alternating types of comets: one which appears to be made of ices and stone combined together (the “dirty snowball” type) and the other where principal ices exist outside of a stony/metallic interior. Using the two indicated major fragments to identify Comet A, the remaining comets, going clockwise around the circle, would be E, D, B, F, and C (see GBR (06/06/29), pg. 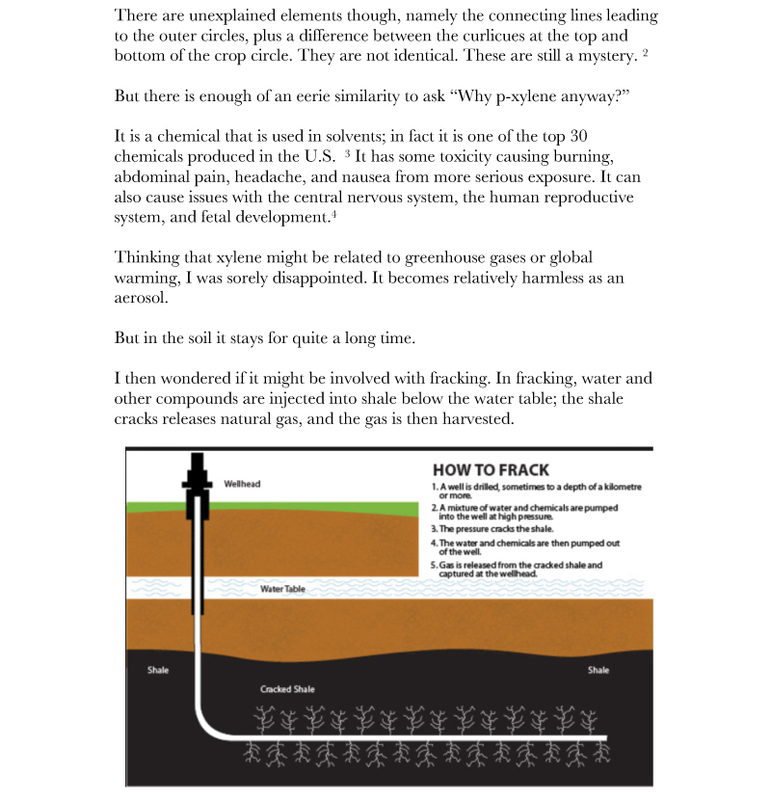 118 of my free ebook). E, B, and C thus seem to be of the dirty snowball type. Each comet’s trajectory is shown from the time the coma becomes visible until final impact. Comet B is shown with a rotational adjustment. Comet A has a timing indication (the arc) of about one twelfth of a circle, implying the adjustment before the coma takes about one hour. The symmetric velocity/directional adjustments (the short lines) do not give us an idea of exactly how many there really are, only that they are numerous. The photos also indicate one final velocity adjustment for each comet right over the impact area – the central circle. Although generally well executed, the crop circle does have irregularities within the short lines, plus the impossible connections between the coma lines at the center, leaving a legitimate suspicion of man-made origin. A year of big radical changes begins! The circle in the center of the formation represents the Source. From the Source emanate energy streams, which depict the energy RED MOON. The Red Moon stays for Flow, for Universal Water. “Universal Water” are the cosmic energies, which are radiated from the Source. On the outer periphery of the formation there are 6 circles. Each of them is surrounded by a bright ring. Each of these 6 circles depicts a moon and symbolizes again the energy Red Moon. 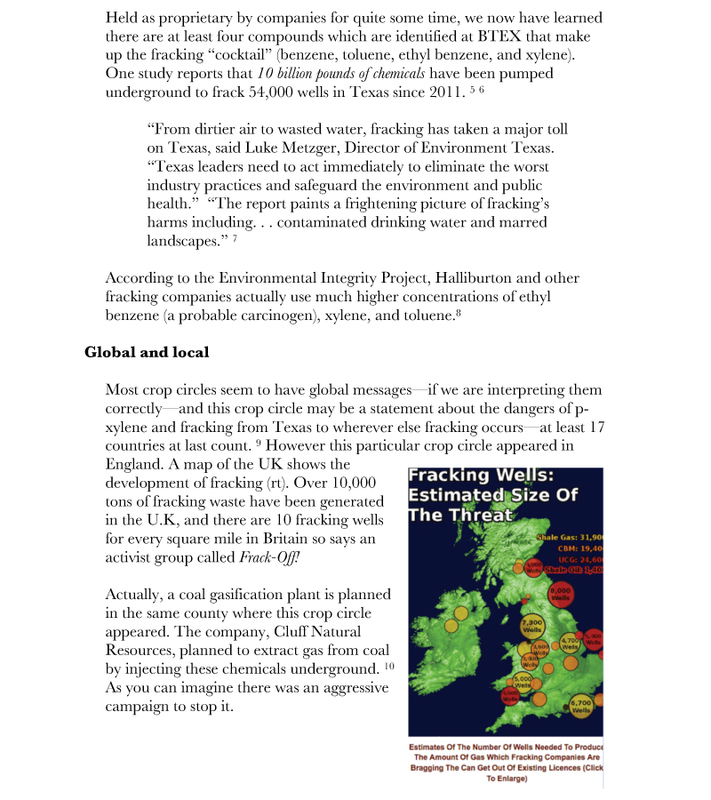 We associate the number 6 with the energy White Worldbridger – Solar Seal No. 6. This is a very powerful purifying energy, which helps us to release all that is outdated, obsolete and useless. The Red Moon is also a purifying energy. So in this case the number 6 symbolizes this function of the Red Moon – energy, which helps us for Purification. Through the number 6 is stressed, that the Purification will be one of our main tasks in the New Year. The Red Cosmic Moon is from the Red Earth wavespell, so a very important task in the New Year shall be to clean the Earth, too! The 6 outer circles are connected with the Source through “bridges”, which depict Tone 13. Tone 13 is an energy bridge, which gives us a direct connection with the Source. Tone 13 is also the Tone of the Radical changes. It brings the Wind of Changes! Thus the formation is located near a windmill. Near each of the 6 outer circles we see a set of dashes: 2 dashes on each side of the “bridge”. Or each set consists of 4 dashes: 2 long and 2 short. The total number of dashes on the formation is: 6 х 4 = 24 There are 12 long and 12 short dashes. The numbers have following meanings: Number 2 symbolizes the energy WHITE WIND – Solar Seal No. 2. White Wind is the energy of Spirit and symbolizes the masculine aspect of the Source. Now, in the year with Tone 13, this shall be the Wind of Radical Changes! The number 4 symbolizes the energy YELLOW SEED – Solar Seal No. 4 and the number 12 symbolizes the energy YELLOW HUMAN – Solar Seal No. 12. We can say, that number 12 symbolizes the Humanity. The number 24 symbolizes again the Yellow Seed. Kin 24 in the Tzolkin calendar is with the Solar Seal Yellow Seed. According to the program of the Harmonic module Tzolkin, each of us grows from a Yellow Seed to Yellow Human. The 6 outer circles are divided in 2 groups of 3 circles with the same design: 3 circles with design of type „А” and 3 circles with design of type „В”. In each of the circles of type „А” we see an amazing depiction of an Eye, which symbolizes the energy Blue Eagle – the energy of Vision. The Eye symbolizes our Visions and Visualizations from the last year of the Yellow Crystal Seed. These are our Seeds, which now are “planted on the Red Moon” and begin to grow. The Red Moon shall provide them with Universal Water. From these Seeds our new reality shall grow. At circle „А” we see a Smile symbol ;-). The year with Tone 13 is the time for Return to God. God is the Source of Love and Joy. So everybody who wants to arrive at God, has also to strive to become a source of Love and Joy. Now during the whole year with Tone 13 we should often search for answers to the question: How can I become a source of Love and Joy? In each circle of type „В” we see a depiction of a cog-wheel, which symbolizes the energy BLUE STORM – the powerful energy which brings Activation and Catalyzation of all processes. The Blue Storm shall provide intense transforming energy for the realization of our Visions and Visualizations. Each cog-wheel in the 3 circles of type „В” has 11 cogs. So the total number of the cogs is 33. The number 33 symbolizes the energy Red Skywalker – the Guiding energy in the Red Cosmic Moon Year. Kin 33 in the Tzolkin calendar is with the Solar Seal Red Skywalker. This energy shall help us to explore our inner and outer spaces in order to find out what changes are necessary. This is also the energy of Prophecy. Our words have great creative and prophetic power! And as in the New year we have a very strong connection with the Source, most likely this proverb shall apply: “From your lips to God’s ears!” At the circle „В” we see a depiction of a Key. The New year begins with the First lunar month or First Magnetic Moon with Tone 1 – the Magnetic Tone of Purpose. Tone 1 is the Magnetic gate of the New Year. So with this Key we open this Magnetic Gate. But the Red Cosmic Moon Year is with Tone 13, this is the last year of the current 13-year cycle with dominant energy Red Moon. 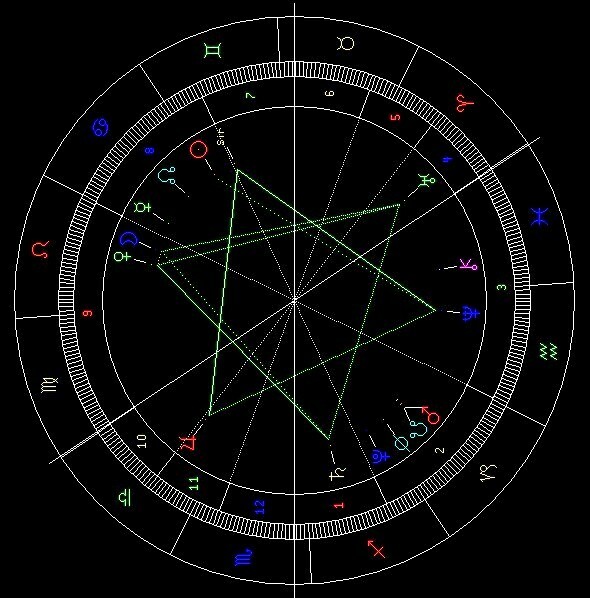 Tone 13 is the Cosmic gate, so with this Key we open also the Cosmic gate of the 13-year cycle. So in this year we have at our disposal a set of very powerful energies. May we use them for the highest good of the humanity and of the Earth! 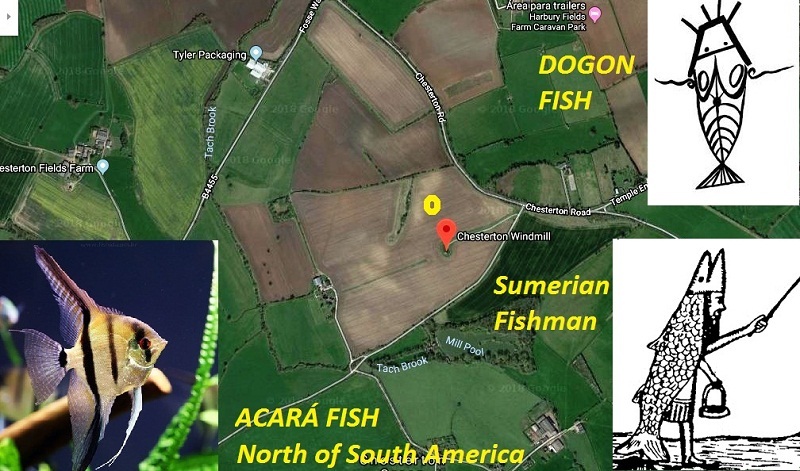 I express my deepest gratitude to the authors of this inspiring formation, to the photographer Nick Bull and to the team of the Crop Circle Connector! Classical example of extraterrestrial cosmological reading, but what about Sirius? According to the Mayan school of José Argüelles, July 26, the day of the formation, is “new-years-day”. This is said to go hand-in-hand with a heliacal rise of Sirius, the brightest star in the Earth’s night sky, in Meso-America. This is the reason why we should include Sirius in order to understand this formation. 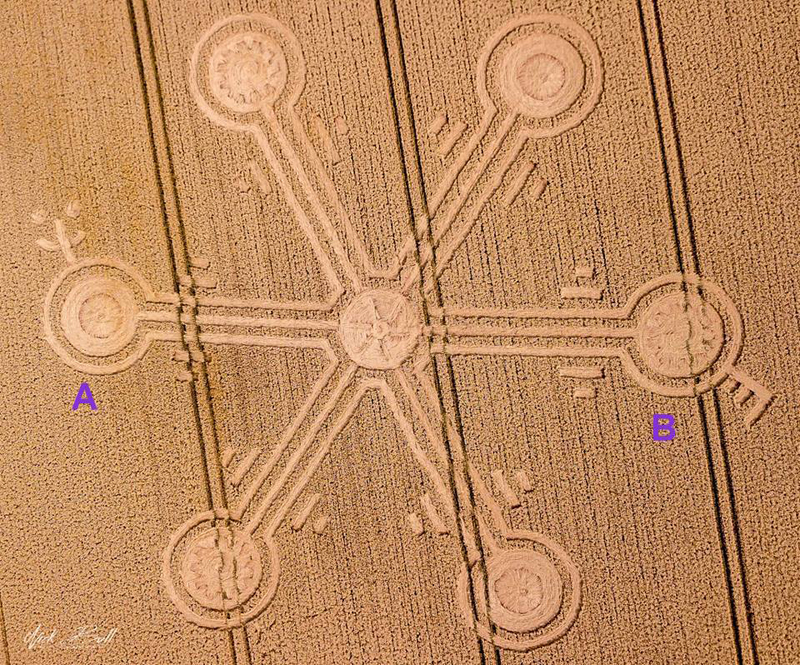 This crop circle formation is a classical demonstration how extraterrestrial intelligence is connected with cosmology. At the first glance, this formation seems to express a perfect hexagon. However the formation shows that just three circles belong to each other. Three circles are basic and give shape to a triangle, while each of the remaining three circles encloses a circle of an eleven-fold configuration. These three circles also give shape to a triangle. This eleven-fold circular figure in these 3 circles turns out to be essential to get an understanding of the clue of this formation; it refers to 11 days. Hence, there is no doubt that this formation refers to the past. As Sirius is involved in the accident in September, 2006, the underlying message might be that Sirius doesn’t create at all such a positive energy as often is believed. Moreover, July 26 is said to be the date on which Sirius rises heliacal in Meso-America (New-years-day). In reality August 6 (to which the formation refers), is a better candidate for the helical rise of Sirius (in Meso-America, still later in Europe), especially in this era (several centuries ago, the star rose heliacal on July 26, but because of the precession of the equinoxes this is certainly not the case at present). A bar expresses five; a dot expresses one. Hence a bar and dot expresses tone six. We find this number twelve times in the formation and this may refer to twelve years ago. This makes sense as this is the year 2006 in which the accident took place. The Chesterton windmill expresses the Mayan day-sign/solar seal “Wind”. Hence, in addition “6 Wind” may be the most logical day, the formation refers to. Twelve years ago (counting from July 26, 2018) is July 26, 2006 and classically spoken (true Mayan Quiché-count), two days later, July 28, indeed was a day 6 Wind. We can also find out if this is in line with the formation’s creation date on July 26, 2018. According to the true Mayan Quiché-count the formation creation’s date was a date “6 Night”. The 6 seems to fit with the Mayan number 6 of the formation. However, I once published the synchronization-theory. It means that there are 3 Tzolkin-counts and these have been harmonized in two steps, namely on the leap days in the years 2008 and 2012. Since the leap day (February 29) in 2008, the three counts have been synchronized, which means that since that time the three counts always differ 24 days. Up to and including February 28, 2012, the classical Mayan Quiché-count was uninterrupted. However the so called Dreamspell introduced a “leap” each 4 years; this means that the leap day, February 29, had the same signature as February 28. Because of the synchronization, this was also the case with respect to the classical Quiché-count on February 28, 29, 2012. According to this theory, after the year 2012, the significance of the leap-days has been abolished (for all three counts). The leap in 2012 means that in reality, the signature of July 26, 2018, classically spoken, differs one day and was a day “5 Wind” instead of 6 Night. This also fits as the formations creation date (5 Wind) aligns with the windmill and connects with the day approximately 12 years ago (July 28, 2006: 6 Wind). However, there is an interesting fact that indicates that the formation in addition refers to this synchronization process. The classical Quiché count was uninterrupted up to and including February 28, 2012 and this was a day 6 night, like it would have been on the formation creation’s date if the interruption on the leap day of February 2012 wouldn’t have take place. Hence, the formation refers to the leap on the leap-day in 2012, which occurred exactly 9 tzolkin-cycles (9 × 260 days) in the past.